Office Hours: TR 1:30 p.m. - 3:30 p.m.
Chung, Y.-M., Steyer, A., Tubbs, M., Van Vleck, E. S., and Vedantam, M. Global error analysis and inertial manifold reduction. J. Comput. Appl. Math. 307 (2016), 204-215. Chung, Y.-M., and Jolly, M. S. A unified approach to compute foliations, inertial manifolds, and tracking solutions. Math. Comp. 84 (2015), no. 294, 1729-1751. 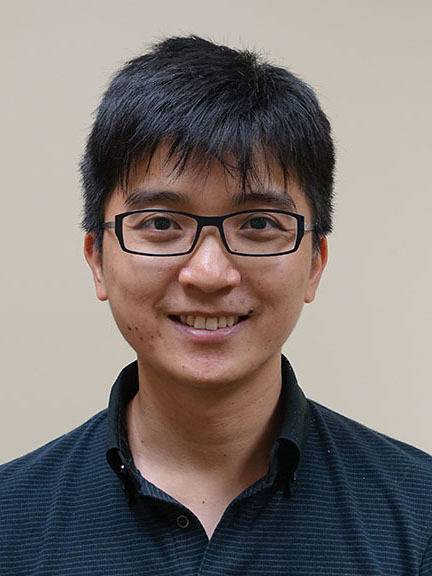 Dr. Chung earned his Ph.D. in Mathematics from Indiana University Bloomington in 2013 and joined the UNCG faculty in 2017. His research interests are computational topology, topological data analysis (TDA), and dynamical systems.